The 6 Teams of Lords Tournament: Asia! 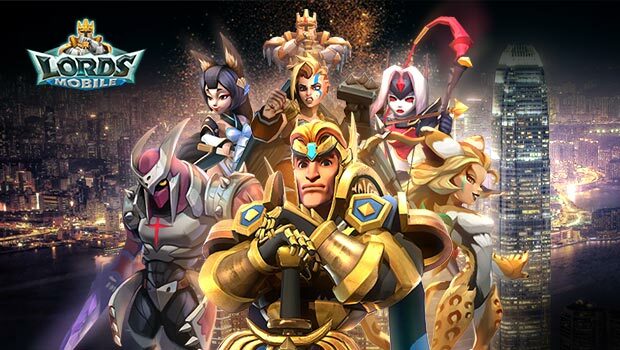 Lords Tournament: Asia, the highly anticipated strategy gaming event, will be held on 22 April! The teams representing the 6 regions have all been chosen, and they're ready to brawl for glory and riches! In this tournament, players will battle it out on a fair playing field as each of them will be provided with an official event account. It's up to the teams to rely on their wits and prove themselves as the "Lord of Asia" to win the grand prize of 30,000 USD and pure gold medals! Here are the 6 teams that will be representing the best of Asia! On April 22, these 6 teams will gather in Hong Kong for the ultimate showdown! We're excited to see which team will prove themselves in battle and clinch the title of the "Lord of Asia"!